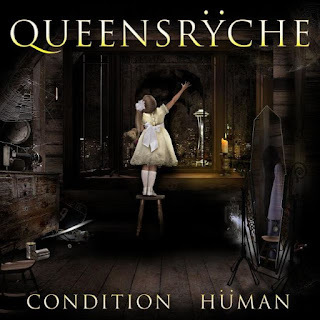 Hall of the Mountain King: Review: Queensryche, "Condition Human"
Condition Human marks the full return of the Queensryche that I know and love. While I really enjoyed the band’s eponymous debut with new singer Todd LaTorre, I thought, in places, the dynamic hadn’t quite come together. That’s not the case with the band’s second record with LaTorre. It hits right in Queensryche’s late ‘80s/early ‘90s progressive metal powerhouse, yet manages to not sound dated. I had my doubts. The first song that I heard was album opener “Arrow of Time,” and while it’s not a bad song, it’s not a standout either. But then along comes “Guardian,” and all is right with the world. An aggressively catchy guitar riff, combined with some driving beats from drummer Scott Rockenfield, puts the listener in mind of some of the band’s more aggressive early work. The huge chorus, though, is firmly rooted in the Mindcrime era, which Queensryche backs up with a lyrical nod to that album. For me, it’s easily one of the best hooks of the record — and with Todd LaTorre wailing like a young, in-his-prime Geoff Tate, it’s a thing of beauty. Of all the good things on this record, LaTorre’s vocals may be the most impressive. Some may not like the fact that he often mimics Tate so closely, but you can’t have that classic Queensryche sound without a guy that can hit those notes and deliver with those inflections. In spite of the hot mess that the guy has become today, no one can deny that Geoff Tate, at one time, was one of the greatest singers that metal has ever heard. There’s a certain mystique about the way that he delivered his vocals that’s very hard to recreate. LaTorre does a fine job of capturing that, particularly on another favorite of mine, “Hellfire.” If I didn’t know better, I’d think at times on that tune that I was listening to a lost track from the classic lineup that had just surfaced. There’s a great swagger and attitude to the song, but it maintains that cool demeanor that Queensryche always had. Another hallmark of the band’s classic sound is also prominently featured on Condition Human: The tight, soaring vocal harmonies. They are spot on throughout the record. Queensryche delivers a nice blend of fast and heavy numbers and softer pieces, which had been missing for a little while toward the end of the Geoff Tate era, where everything was a little more morose and, perhaps, overthought. Sometimes you just need a ripping rocker like “Arrow of Time,” even if it lacks the big, thoughtful composition. They offer a nice foil to songs like “Selfish Lives,” a more progressive piece that’s heavier in the mental sense than the musical. That doesn’t mean, though, that you can’t do both in one song. 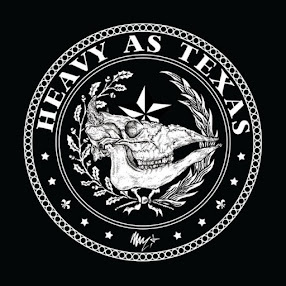 Check out “Toxic Remedy,” a big groover that at the same time brings those tight harmonies and some of the more progressive sounds. There are a couple of ballads as well, though they’re far from typical. “Bulletproof” brings a big memorable chorus melody with another fine performance by LaTorre, while “Just Us” has something of a spiritual jangle to it. While Condition Human very much evokes Queensryche’s classic sound, there’s a little nod here and there to the modern. The most obvious is “Eye9,” which gives us a sinuous, chunky guitar riff that puts me in mind of a more current metal act, like Disturbed. Queensryche makes the sound their own, though, combining it with some tight harmonies — some of the best on the record — soaring melodies and searing guitar work. There’s another dose of that on “Hourglass,” which gives us arguably the heaviest guitar piece on the album, before dropping down into Queensryche’s classic midtempo sound the rest of the way. The Mindcrime is strong with the final three tracks of the album, which kind of blend together, at least musically, to form a mini-concept. “All There Was” kicks it off at an aggressive pace as Todd LaTorre’s lyrics outline a relationship gone wrong. The song closes on some dark orchestrations and bells that lead seamlessly into the dark interlude “The Aftermath,” which could certainly outline a violently dark moment coming out of said relationship. Finally, Condition Human closes with the eight-minute title track. It’s a reflective piece that, as the title suggests, takes a stab at explaining the human condition and provides a bit of an umbrella perspective on the rest of the songs on the album. As the song goes through its motions, it’s yearning and melancholy, it’s angry and dark, it’s defiant and triumphant and, in the end, it’s resigned. Without a doubt, the addition of LaTorre and a little distance between the ugly split with Geoff Tate has rejuvenated Queensryche. The band is more focused on this record than their 2013 outing with him, and they seem to have rediscovered what made Queensryche great in the first place. Condition Human has an energy and power that’s been missing in the band’s music for far too long. They’ve found that spark again, and I’m very happy to hear it. Review: Amorphis, "Under the Red Cloud"